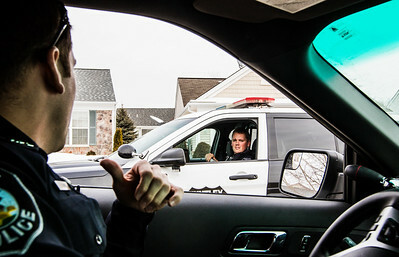 Huntley police officer Jeff Fabis (left) talks with officer Justin Harper while on a call for an open door at a house on Rolling Meadows Lane Monday, Feb. 16, 2015. 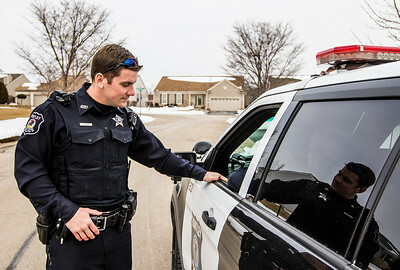 Calls like this will be posted to the McHenry County crime mapping website, which displays many crimes happening in the different neighborhoods. 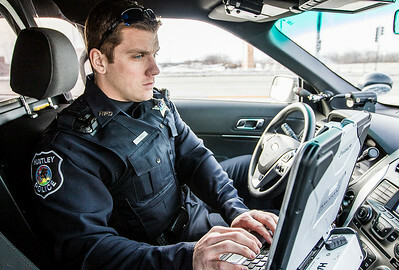 Certain felonies and crimes with ongoing investigation will be omitted, according to Fabis.